Prompt on-site or remote support to minimize downtime and maximize productivity. It can be incredibly frustrating not getting help when you really need it. Access to Inova’s Remote IT Help Desk Support will minimize downtown and maximize productivity. 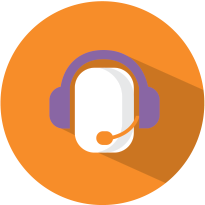 When you need an IT support Help Desk, our specialists will provide prompt remote service and work to swiftly to resolve your technical issue. Many problems can be solved by a simple call to Inova’s IT Desk support team. for an on-site no-obligation technology assessment. Let our team meet with you to provide a no-obligation technology assessment.